Connor McDavid. Matthew Barzal. Matthew Dumba. These were just a couple of Canadian kids who made a name for themselves in this tournament before becoming stars in the NHL. While the U-18 tournament flies under-the-radar, it presents a great opportunity to check out not only stars of tomorrow but the highest level hockey among players still in development. We look at four of the top Canadian players on the team who are most likely to make an impact and become future NHL prospects. It all starts with the 16-year-old phenom already being dubbed as the next big thing in hockey. 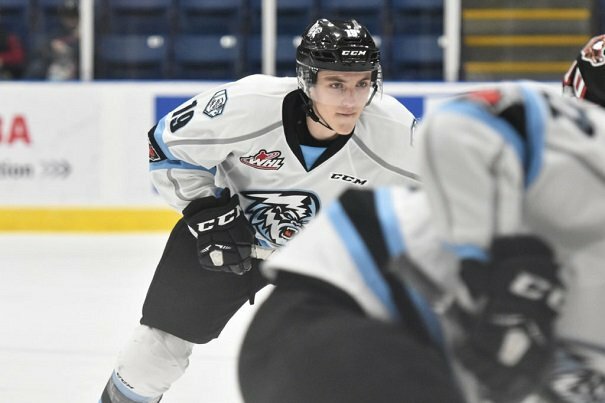 Lafreniere is currently tearing up the juniors with 80 points in 60 games with Rimouski and is considered the top prospect for the 2020 NHL Draft. The Quebec-born winger already scored two goals in two pre-world championship games and had six points in six games in last year's World U-17 Hockey Challenge. Described by scouts as an athlete who can single-handedly dominate games with his natural offensive gifts - an uncanny ability to turn difficult situations into scoring chances. With a late birthday and already at 6'0", Lafreniere is still growing physically and athletically and is set to dazzle in this year's tournament, which will only add to his rapidly growing hype. Krebs is another gifted forward and dazzling playmaker. He doesn't have the same hype as Lafreniere but he's an elite prospect and a future NHL star. A left winger, Krebs is fast and exciting and plays with plenty of passion. He is still growing but at 5'11", he is nimble and adept at moving the puck. He also has one of the best wrist shots. The Albertan has 60 points in 73 WHL games and scored six points in last year's World U-17 Hockey Challenge. Having just turned 17, Krebs is eligible for the 2019 NHL Draft and will be a welcome addition to any NHL team looking for instance offence. When it comes to physical specimens, Robertson looks like he's growing in the mold of a big all-star defenceman like a Victor Hedman. His offensive stats don't jump out of the page, 25 points in 74 WHL games with the Oil Kings, but he did score six points in just five games at the World U-17 Hockey Challenge. 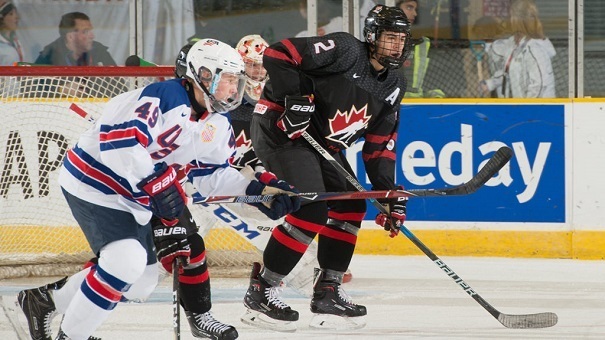 Robertson will be a lynchpin for Team Canada and will be among their most prominent d-men. His size alone, 6'3" 195 lbs., makes him a threat but add to that his booming shot and developing offence and he could be a future top-four NHL defenceman. As of now, he remains an enigma but has this tournament to make his presence felt. Bahl will add the fire to the flash of these young Canadians Canadian squad. Bahl is a budding stay-at-home defenceman who won't be putting up gaudy fantasy numbers or highlight reels but will be a major component of Team Canada and his future NHL team. At 6'6" 225 lbs, he is the monster who will be the team's top shutdown defenceman. 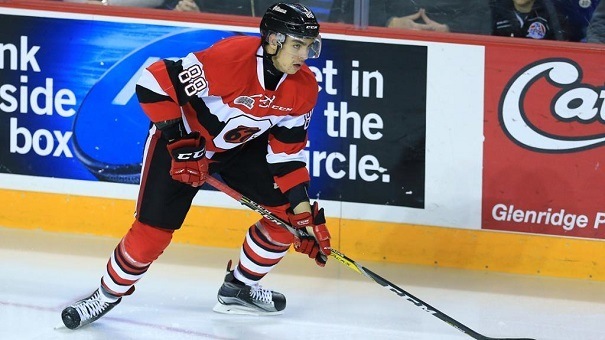 A projected second-round NHL draft prospect for 2018, Bahl can hit and strong hockey instincts. He takes the occasional bad penalty or two and could still improve his contribution to the offence but his presence and intangibles more than make up for this. Keep a close eye on him during the tournament as he could be make a few big plays that sways momentum for the team. April has an embarrassment of riches for Canadians into hockey. There's the Stanley Cup Playoffs but the Men's Under-18 World Hockey Championship will be just as spectacular. You can watch it on TSN and head to Canadian-friendly online bookmakers to place bets. Find the detailed reviews to find out more on these books and how it all works.